SERC TALKS: What Lives at the Intersection of MOSA (Modular Open System Architecture) and Set-Based Design? « SERC TALKS – What Were the Top Issues and Opportunities from the SERC Model‐Centric Design and Acquisition Forum? Dr. Witus will be discussing Modular Open System Acquisition, Set Based Design, and Model-Based Systems Engineering in reference to an Advanced Technology Demonstrator development program which attempted to employ these concepts. The system was divided into five functional subsystems and contracted out to five vendors, with a sixth contract for system integration. The companies did not have contractual relationships with each other, only with the Government agency. In principle, this approach would align the structure of the engineering organization with the functional architecture of the system (rather than, as often happens, the system architecture mirroring the structure of the executing organization), enable contracting with the most highly qualified technology developer for each subsystem, and facilitate competitive bid should the technologies be transferred to a program of record. Several issues and challenges became apparent during the engineering development. Significantly more time and effort was required for consensus on the interface specifications. While the contractors were required to make their subsystems compatible, there was no such requirement for the engineering models of the subsystems. The engineering models were considered proprietary, and shared in a “software as a service” model. Substantial translation was required to convert the outputs from one model to the inputs to another, with loss of resolution in the process. The decomposition into subsystems was good for some engineering management decisions, but not others. The dependencies between subsystems depended on subsystem architecture choices. There was not sufficient information to determine the appropriate order of decisions in down-selecting set-based design option. Guidelines for set-based design down selection were unclear, in part due to multiple goals on the part of different stakeholders. Limitations in addressing dependencies between subsystems under different design approaches led to multiple iterations to resolve conflicts, which was aggravated by lack of an engineering workflow map. In addition to discussing these and other observations, Dr. Witus presented preliminary recommendations for methods, procedures, and tools that would help overcome these challenges. Following the SERC Workshop on “MOSA: Towards Cost Effective Acquisition Strategies” held on October 5th, we hope conversation generated from this discussion will be continued. Please feel free to bring your input and perspective to this discussion. Please note the date has been rescheduled (to October 19th) to incorporate the findings of a related SERC Workshop. We encourage attendees from the workshop to participate in this discussion and continue the conversation as well as those who were unable to join the workshop to bring their insight to this widened audience. Dr. Witus has over 35 years of experience in applied Systems Engineering and Operations Research, primarily in Department of Defense applications. He was formerly the Chief Engineer for Systems Analysis at General Dynamics Land Systems, and led systems analysis in support of the M1A1 and M1A2 Abrams tank programs, among others. He was founder and Chief Scientist at Turning Associates, mobile robot technology development firm, from 1996 to 2006. Since joining Wayne State University, he has led the College of Engineering's participation in the Systems Engineering Research Center (SERC) - a consoritum of Universities led by Stevens Institute of Technology. The SERC is a DoD-sponsored University Affiliated Research Center. His research areas in the SERC include Modular Open System Architecture planning, Model-Based Systems Engineering, and Tradespace and Affordability modeling. 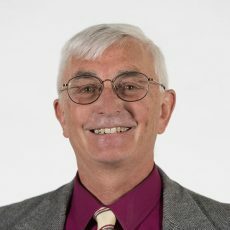 Dr. Witus is the Associate Director of the Anderson Engineering Ventures Institute in the College of Engineering, where he provides mentoring and coaching, to student and faculty, and assists in opportunity identification and team formation.